Democratic Speaker of the House Mark Eves oversees the 109-37 vote to override Gov. Paul LePage's veto of the state budget on Tuesday in Augusta. Democratic Majority Leader Jeff McCabe (left) and Rep. Sara Gideon work to override Gov. Paul LePage's budget veto Tuesday morning in Augusta. Rep. Gina Melaragno, D-Auburn, speaks on the floor of the House as lawmakers overturned Gov. Paul LePage's budget veto on Tuesday in Augusta. 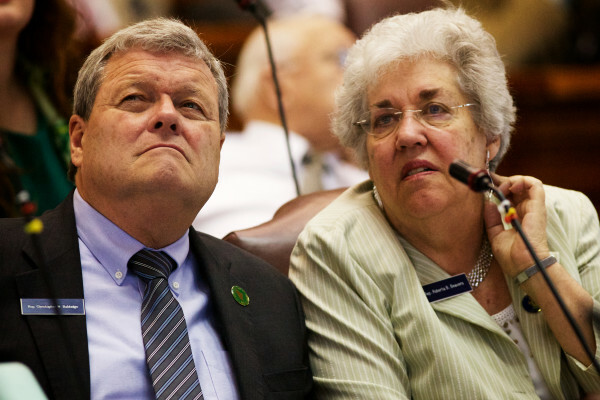 Rep. Christopher Babidge (left), D-Kennebunk, and Roberta Beavers, D-South Berwick, watch the vote tally come in as the House overrides Gov. Paul LePage's budget veto Tuesday in Augusta. 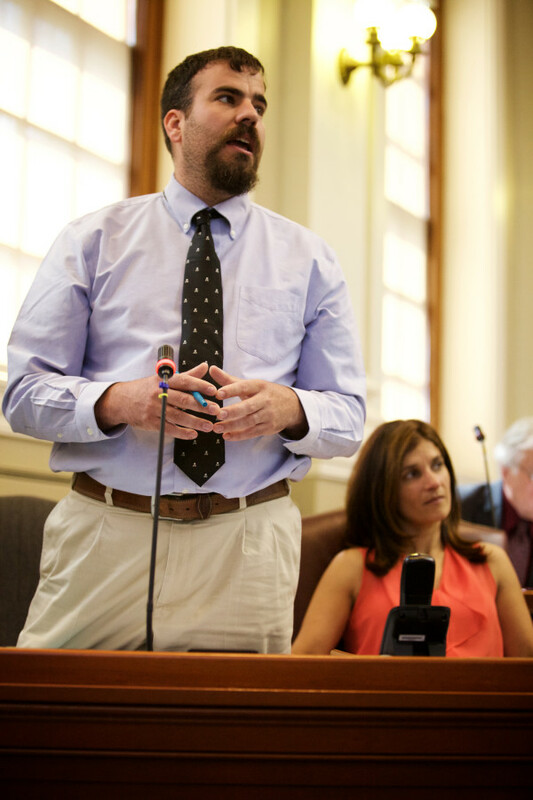 AUGUSTA, Maine — With fewer than 13 hours to go before the end of the state’s fiscal year, the Legislature on Tuesday morning stepped away from the precipice of a government shutdown by overriding Gov. Paul LePage’s veto of the $6.7 billion state budget. The House voted 109-37 vote to override the veto, followed quickly by a Senate vote, without debate, 25-10 in favor of the budget. The House held a half-hour of debate between lawmakers who believed the budget bill is as good as it could be considering Maine’s divided government and those who say the process was as flawed as the priorities outlined in the budget. There was disagreement about whether sustaining LePage’s veto would shut down state government. 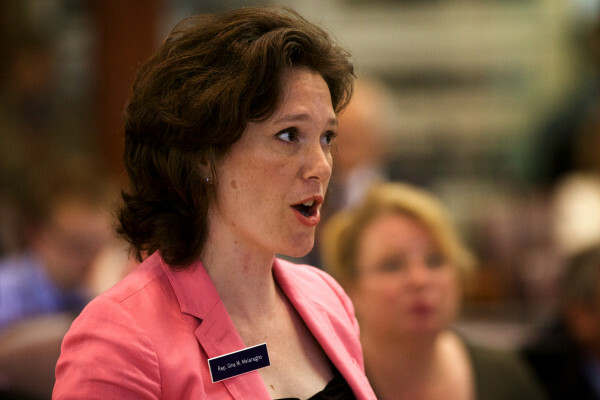 Among those who disagreed with Sanderson was House Minority Leader Ken Fredette, R-Newport. Several Republican lawmakers voted against the budget because it doesn’t include enough money to eliminate waitlists for certain services for the elderly and developmentally disabled. But some, including Rep. Gina Melaragno, D-Auburn, said they saw hypocrisy in that position. Others objected to the process that led to the budget agreement, which involved legislative leaders negotiating the compromise after vast disagreement on the Appropriations Committee. Rep. Jeff Timberlake, R-Turner, called House Speaker Mark Eves out by name for his handling of budget negotiations. 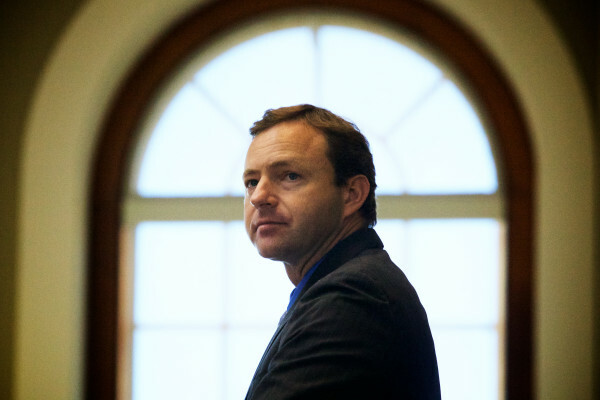 Senate President Mike Thibodeau, R-Winterport, said passage of the state budget and avoidance of a government shutdown was essentially a victory for the process. The Legislature also overrode a LePage veto of the Highway Fund budget, which supports the Department of Transportation and a range of infrastructure maintenance programs. The vote to override the veto was 143-0 in the House and 34-1 in favor in the Senate.